Call Now for Water Heater Installations! 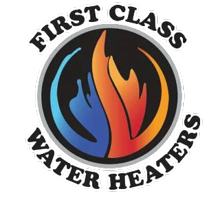 At First Class Water Heaters, we provide top-notch water heater repair services to customers in Diablo, Benicia, Moraga, Vallejo, Orinda, Alamo, Concord and the surrounding area. Our plumbers work diligently to get the job done without compromising on the quality of work. Rely on us for all your plumbing needs. For more information about our services, call us at (844) 456-4933. Copyright © 2018 firstclasswaterheaters.net All rights reserved.